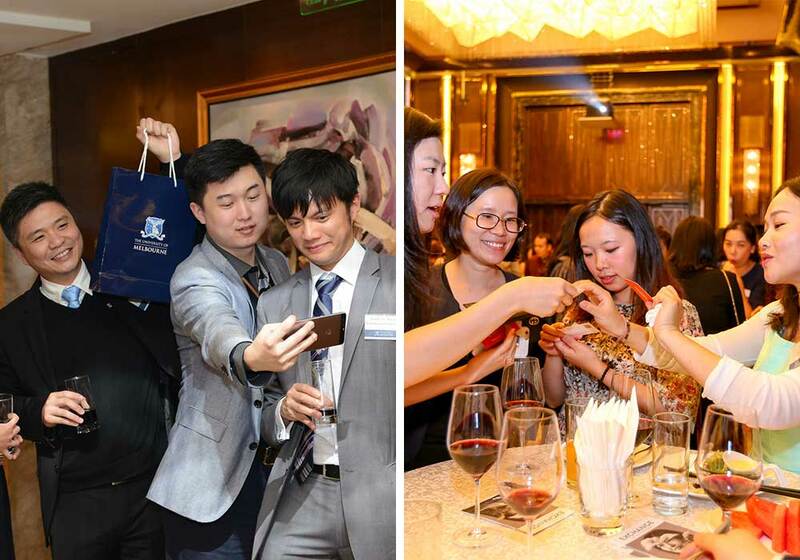 WeChat was abuzz as alumni jostled for a place at annual Business and Economics Dean’s Events in Shanghai, Shenzhen, Hong Kong and Beijing. 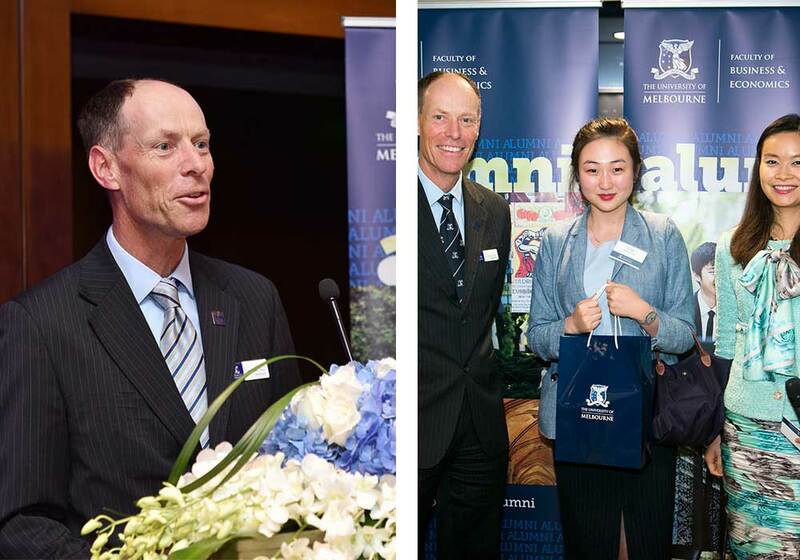 Across a whirl-wind six days, four successful events welcomed more than 500 alumni eager to update each other on their professional and personal lives while celebrating their ongoing connection with the University of Melbourne. In his Dean’s address, Professor Paul Kofman shared details on a number of new initiatives from the Faculty including the inaugural Spotlight on China: Business Insights Series, which was launched in direct response from the feedback of alumni in China. This dedicated week of activity focused on easing the transition for new graduates moving to the region and maximising employability in the Chinese market. A stellar line up of alumni speakers from around the country shared the secrets of their accomplishments and gave advice on successful career building. Thank you to Shannon Lee (BCom(Hons) 2002, LLB(Hons) 2003), Joyce Au-Yeung (BCom, LLB 2003, MBA 2013), Peng Tao (PhD 2004), William Dong (MSSE 2002, PhD 2007), and Jemma Xu (BE, BCom 2012). 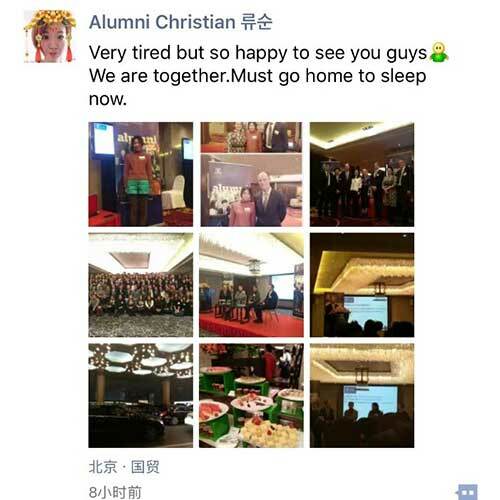 Local Alumni Associations were also notable highlights of the events with Beijing, Shanghai and Hong Kong Alumni Association leaders addressing the crowds to talk about 2016 activities and plans for the future. The activities of Alumni Associations throughout the year are integral to keeping alumni connections strong. The Faculty and the University are grateful to have Alumni Associations in China as advocates, advisors and friends. This year’s activities in China booked out in record time. To be the first to know about 2017 activities, alumni in the region should ensure their location and email address are up to date. 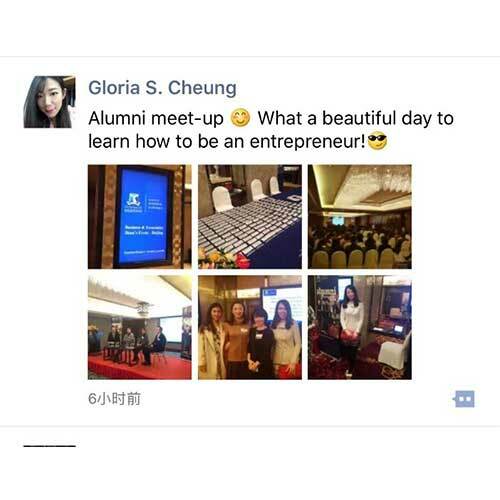 The launch of the University’s WeChat Channel will also be an important way to connect with the University. Join now using the WeChat ID: MelbUni1853. Check out feedback on the Dean's events via WeChat below.